Had a Blast, everything was fine, wish camp stop was a little more level, and the WIFI didn't work at all. Love the Frio! Love the resort! Loved the resort! Easy check in. Very clean. The only problem I have with this stay was the fact the Golf Carts are not allowed. (even though there are many carts being used by other patrons without the knowledge of the campsite) This would easily remedied by having those who wish to use them sign a release form of liability and imposing a few rules like all the other campgrounds are doing. Other than that, well maintained grounds and friendly staff. 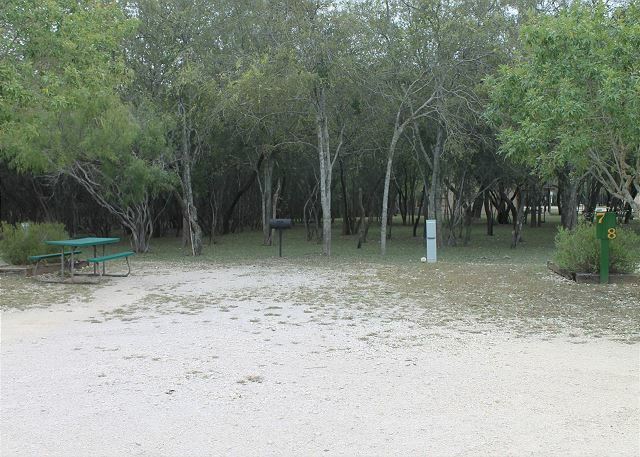 A big group of friends and family have been staying at Frio Country for a couple of years now. We think it is one of the best places on the river, the front Desk is always helpful, and the park is really clean, and well keep. I love the part of the river that is there, it has a little bit of everything, place for the big kids to swim, shollows for the little kids, and walking to our camper. We absolutely loved our stay at Frio Country!!! What a beautiful part of the river, and we had a great time! Thanks yall, we'll be back next year for sure! This was the first time we stayed in a rv site and it was very nice !! We will definitely be taking our camper an staying again! !